Should You Be Investing in India's First REIT? Do you aspire to own commercial properties in the most prestigious localities of India's leading cities and rent them to Multi-National Companies (MNCs)? It might look like a pipedream to many of you. 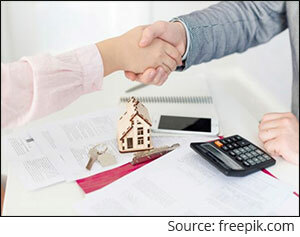 Now earning rental income by leasing out 'grade-A' properties in cities such as Mumbai, Pune, Bengaluru, and Noida will become a possibility for individual investors now. Are you puzzled at how? Real Estate Investment Trust (REIT) has become a reality. Blackstone-backed Embassy Office Parks has unveiled the REIT IPO (Initial Public Offer). It aims to garner Rs 4,750 crore through the IPO which will be open until March 20th for a subscription. The REIT has set a price band of Rs 299-300 per unit for IPO. It has already raised Rs 1,743 crore from marquee anchor investors such as Kotak Mahindra Life Insurance Company and trusts linked to high-profile investors such as Radhakrishnan Damani among others. The Embassy Office Parks will utilise Rs 3,710 crore for the repayment of debt; Rs 460 crore will be utilised for the acquisition of an asset. The minimum investment amount in a REIT is Rs 2 lakh. Post-issue the units will be listed on stock exchanges and will be available for trading. Like mutual funds, it's a trust that pools money from investors. But it invests in large-scale income yielding real estate properties. The major difference between REITs and conventional real estate developers is, in most cases, REIT develops and buys properties to run them, whereas conventional real estate developers are primarily interested in selling the properties to investors and end-customers. Hence, you shouldn't confuse investing between Embassy Office Parks REIT, which is the current offering and investing in Embassy Property Developments Pvt. Ltd., which isn't an offer at the moment. Hold at least 80% of its portfolio in finished properties generating income, and 20% can be invested in under construction properties. Distribute at least 90% of their net distributable cash flows among unitholders. Embassy REIT intends to distribute such cash flows at least once a quarter every financial year. Declare Net Asset Value (NAV) at least twice a year. According to the Offer Document filed with SEBI, Embassy Office Parks owns 32.7 million square feet of commercial office space through seven office parks and four office buildings at prime locations in Bengaluru, Pune, Mumbai, and Noida. Besides, its real estate portfolio comprises of four hotels and a solar energy park as well. As on December 31, 2018, Embassy Office Parks reported a committed occupancy of 95% with over 160 prestigious tenants accounting for 81% of gross rents. Its tenants include some tech-giants such as Google, Microsoft, and JP Morgan among others. As it claims, Embassy Office Parks has been able to command 33.6% higher rents as compared to in-place rents due to the quality of its properties. According to the offer document, the interest and rent components of distributions is taxable at the applicable ordinary rates. Balance distributions, if any, will be exempted from tax. On the other hand, short-term capital gains from the sale of units will be taxable at 15% and long-term capital gains will attract 10% tax. Here, profits arising from the unit held for more than 36 months are construed as long-term gains, else short term gains. Post-listing, liquidity on stock exchanges would be subject to active buyers and sellers. As per the rules applicable to REITs, the NAV can be declared only twice a year, which might create some transparency issues. Moreover, the distribution income is subject to distributable cash flows. Institutional investors are better equipped to invest in less-liquid assets and crack over-the-counter deals with other interest buyers/sellers. Returns generated by REITs are unlikely to be at par with those produced by real estate investments. The aim of this asset class, REIT, is to provide an income stream in the form of rents/interest and leave some scope for capital appreciation. According to property experts, 'grade-A' properties typically enjoy rental yields of 7%-9% and may witness the capital appreciation of 3%-7%. In other words, the total returns from REIT investment would be in the range of 10%-16%. A realistic return expectation would be towards the lower end of the spectrum. Embassy Office Parks REIT is the first-of-its-kind IPO in the Indian market. As there isn't another comparable product in India, retail investors would be better off staying away from this IPO. Since mutual funds are also allowed to invest in REITs, you should leave the decision of investing in Embassy Office Park REIT to them. As of now, they are treading cautiously, and fund houses haven't made any encouraging comments either. If the first few issues of REITs are successful, Indian investors will get another asset class to diversify their portfolio. While investing, pay attention to your personalised asset allocation to achieve your financial goals. PS: Are you looking for "high investment gains at relatively moderate risk"? We have a ready solution that could be suitable for you -- PersonalFN's Premium Report, "The Strategic Funds Portfolio For 2025( 2019 Edition)". Equitymaster requests your view! Post a comment on "Should You Be Investing in India's First REIT?". Click here!